Are you struggling to find the perfect partner on the most popular dating sites like match.com, eHarmony, woosa dating or FOC.dating ? Then here are some effective tips that you can follow in order to look for a date with minimum hassle. Choose the right dating website – Do not go for the most popular online dating website out there. That’s because the most popular dating websites have the biggest competition in between users. If your main objective is to meet someone quickly, you can think of choosing a website that has a decent amount of users. 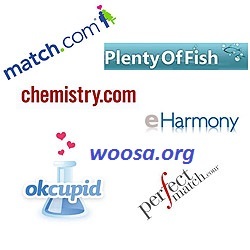 In addition, you can find fetish based websites, religious based websites, dating websites for seniors, race based websites and websites that are based on gender preferences. If you are looking for a dating partner with specific requirements, you can think of browsing through related websites. Be honest with your date – Many guys who use online dating platforms tend to lie. Therefore, girls think twice before accepting your invitation. You should always be honest with your date and it can be considered as a good way to start any type of relationship. Therefore, you should not lie about your weight, age, height, income, job or anything else. Even though you work as an accountant or live in a nondescript house, you have the chance to make your life sound exciting. All you need to do is to get creative with it. In fact, you need to pretend that you are writing a mystery novel. You should always try to be intriguing or mysterious about yourself. You need to keep your date guessing about what you are into. This will assist you to stand ahead of the other guys and look for the perfect dating partner with minimum hassle. In order to establish a true match with someone, you will have to create an emotional connection. It will be a difficult task to create such an emotional connection through chat. Therefore, you need to get on the phone as soon as possible. Or else, you can simply ask for the Skype name and give a video call to your date. You just need to create some sort of an emotional connection and the rest would be fun. Most of the guys who use popular dating websites find it as a difficult task to fill out their profiles. In other words, many men don’t have a clear idea on how to present themselves. If you want to create an attractive profile on the online dating website, you should have a clear understanding on how to beat the competition. That’s why it is important to browse the dating website as if you were a girl. You might feel strange when you are going through the online dating photos uploaded by guys, but it will give you a clear idea on how to proceed with your profile. Why White men love Black women?